Tagging files is a powerful and easy way to tidy up your files, but it’s currently limited to the new iOS 11 Files app. One of the most useful new features in iOS 11 is tags in the Files app. Just like in the Finder on the Mac, you can mark your files with as many tags as you like, making them easy to organize, and easy to find, even when they are scattered across different folders. For instance, if you’re working on a song on your iPad, you could create a new tag for that song. You can add that tag to the GarageBand project, to any versions of the song you export to share with other folks, to any ideas for that song you record with the Music Memos app, and to any little samples, field recordings or sounds you create with other apps. Then, you can see all those files together in one view, even while they all stay safe in their original folders. Even better is that Files uses the exact same tags as the Finder on your Mac, so anything you keep in iCloud Drive will be tagged in both places. Let’s see how iOS tags work. One of the most useful features in iOS 11’s Files app may turn out to ta tagging files. 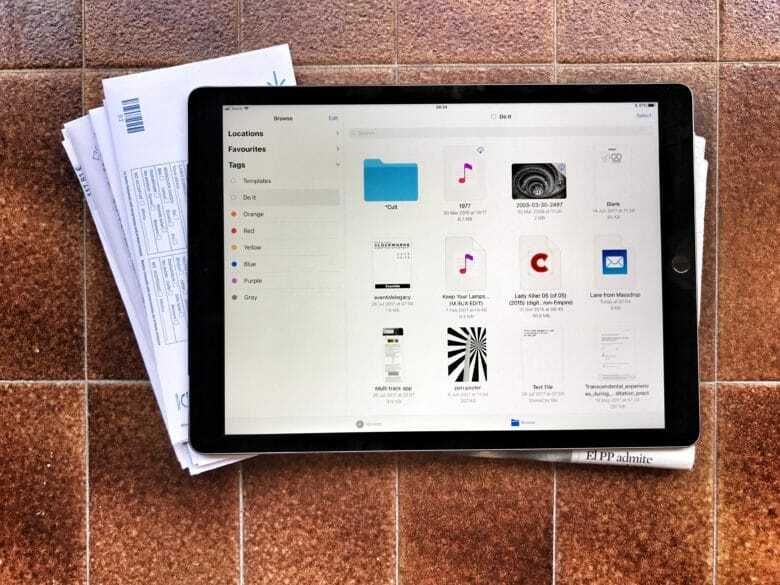 Tagging lets you gather pictures, folders, documents and any other files from all across your iPad and iCloud storage by giving them the same tag. This means you can organize files without moving them — you could create a Vacation tag, for example, to collect maps, a PDF with your Airbnb info, your boarding passes, and even related emails. Then, when the vacation ends, you can delete the tag. The grouping disappears but the files never get moved. Tags are also synced between the Mac and iOS, so your collections can group files from both platforms. You can also apply many tags to the same file, including it in as many “projects” or lists as you like. 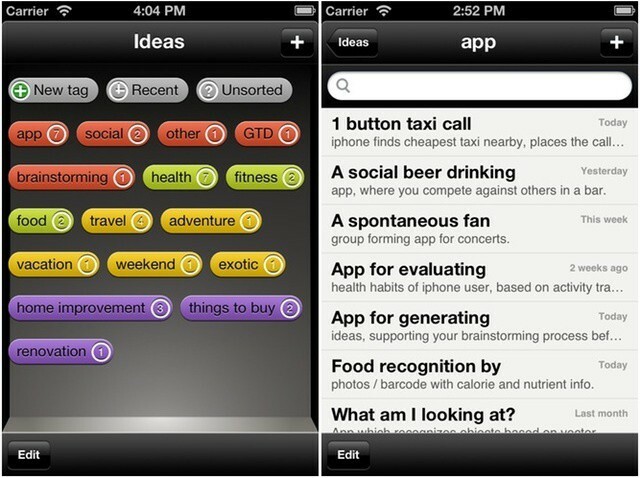 The tagging functionality is built into the Files app at a deep level, making it easy to use wherever you are. Here are all the ways you can use tags in iOS 11. Some photos are meant to be hidden. There’s a big difference between photos you put up on Instagram and those that your buddies upload and then tag you in. Chances are, the ones you’re tagged in aren’t as flattering as the ones you put up yourself. 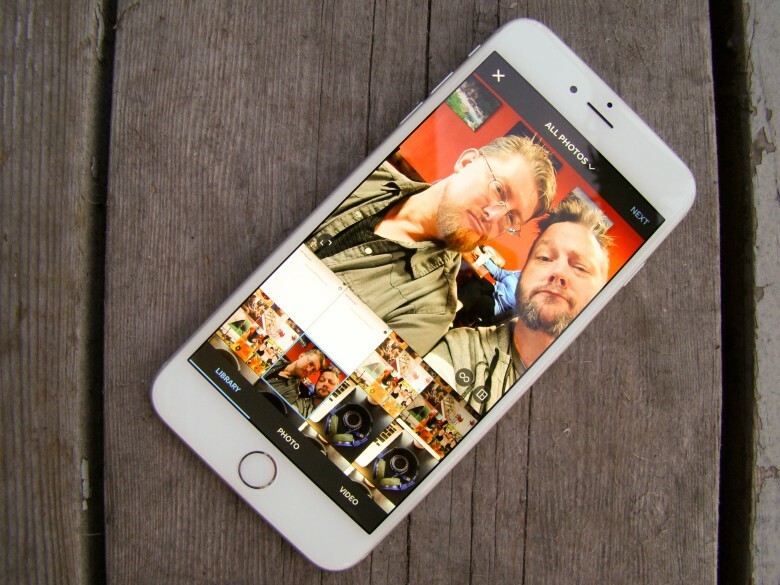 If you want to keep embarrassing Instagram pics off your profile, here’s what you can do. 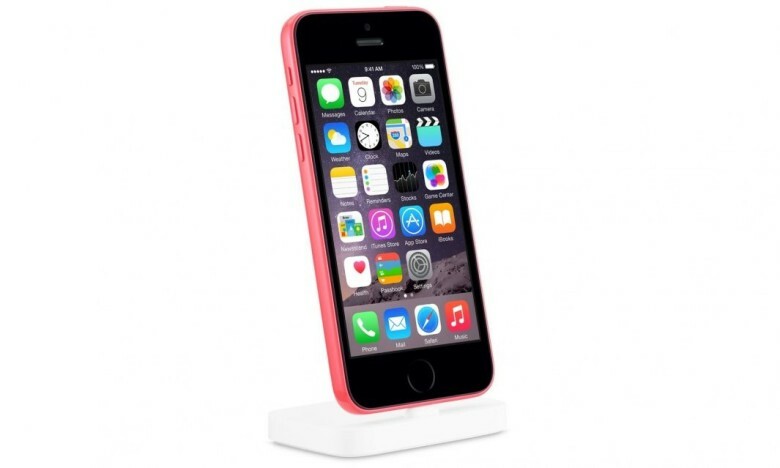 The iPhone 5c might be broken wide open. And what's next? In December 2015, Syed Rizwan Farook shot up an office party in an apparent terrorist attack in San Bernardino, California. He may have coordinated the attack on an iPhone 5c. Since then, authorities have been trying to decrypt the device. And now, a U.S. magistrate is trying to force Apple to unlock it. Easy tagging right there in the Finder. 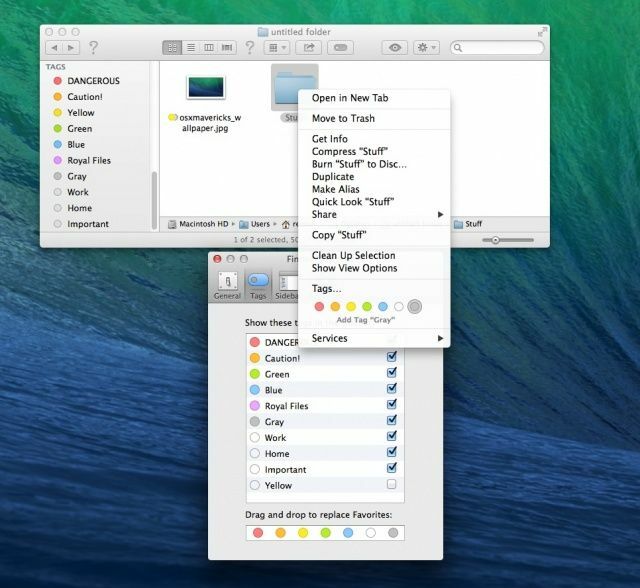 Mavericks’ new in-Finder tagging is great, letting you treat your files like you treat your Gmails and effectively keeping the same file in multiple “folders” at once. But actually tagging the files is still kind of a pain. Happily, Brett Terpstra is here to help with a rather simple tip. 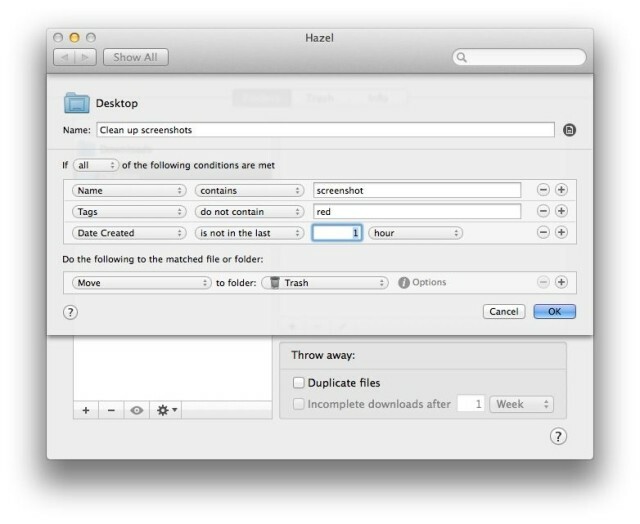 This one cleans up the desktop, but avoids tagged files, letting you keep them around until you remove the tag. Hazel users who have already installed OS X Mavericks have reason to be cheerful today: An update to the app brings support for Mavericks Finder tags, letting you do all kinds of neat things with your files, automatically based on how you tag them. With all the excitement over the recent release of Apple’s mobile operating system, iOS 7, it’s easy to forget that the Cupertino-based company has another OS in the works, OS X Mavericks Beta. Currently at version 8 of the Developer Preview, or beta, OS X Mavericks continues to quietly update in the background, with more refinements over time. One of these improvements is the ability to delete tags from the sidebar. As you may recall, we showed you how to add and modify tags to the list in the Finder sidebar, as well as how to drag and drop files to tag them. It turns out, though, that now you can actually delete tags as well, completing the tag circle of life. Here’s how. One of the cool new features of OS X Mavericks is the ability to tag files in the Finder, making Finder labels a bit more useful. Want to sort a bunch of files for your upcoming vacation into one place? Make a tag for “vacation,” and then add the tag per file with a right-click as we showed you a while back. Want to track some of those vacation files with the destinations they pertain to? Go ahead and tag them with a second tag. Can’t do that with a label. 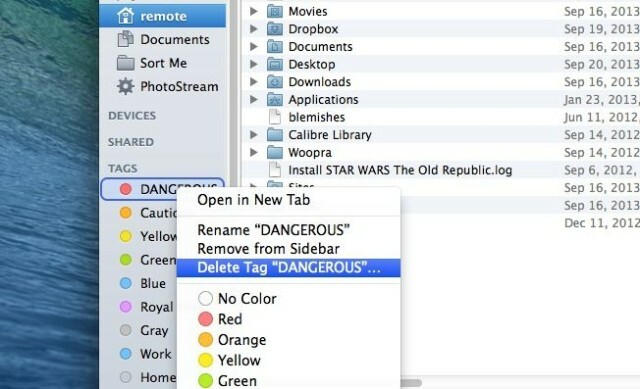 While it’s easy to right-click on a file and choose a tag, it’s even easier to add tags with a simple Mac OS standard move. Here’s how. 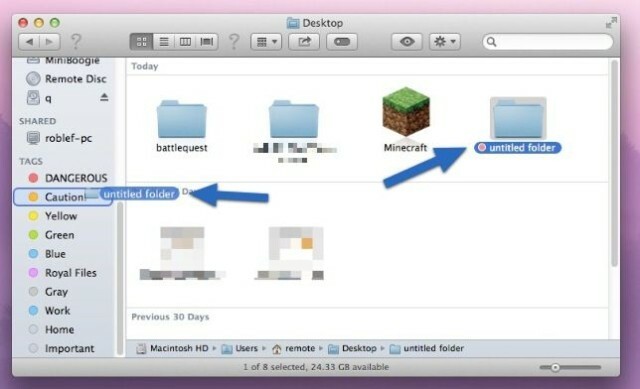 In yet another addition to the OS X Finder in OS X Mavericks, you can now tag your files. This is a wonderful way to keep track of stuff, since unless you’re an obsessive folder and sub-folder maker, tags are much easier to define and apply on the fly, making the dynamic organization of your files easier and less permanent. OS X Mavericks tags seem a lot like Labels did, with a couple of differences. You can apply more than one tag to a file or folder, and you can sort your files by tag, as well. Here’s how.